How can I stop foot odor? Foot odor is one of the most common foot problems. To take care of excessive perspiration, wear socks made of natural materials like cotton, and shoes that allow your feet to breathe. This helps reduce the growth of fungi and bacteria that cause bad odor. Another method to learn how to care for feet is using an antibacterial deodorising spray. If you have stubborn perspiration, an anti-odor cream can help, but shoe hygiene is essential too. Try using a spray deodorant for shoes or insoles made from activated charcoal to help eliminate bad odors. Choose comfortable shoes to prevent corns from forming in the first place. If a corn has already formed, you can either remove it or protect it. Try salicylic acid-based products like patches, liquids or creams for removal and use a file. To protect corns, relieve pain, and lessen the discomfort caused by friction and rubbing, use protective patches made from felt, latex, or gel. 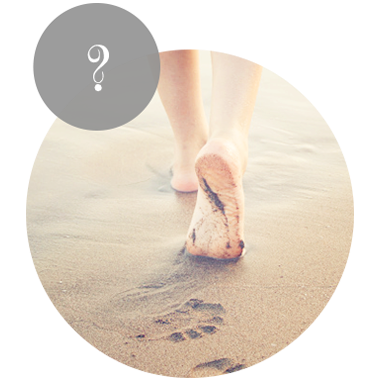 Hard skin typically occurs on feet when the skin experiences excessive pressure or friction. Hard skin can be extremely painful and can cause great discomfort when walking. • Moisturize your skin after showering and after your feet have been covered for extended periods of time. Moisturize before bed and wear thick socks to trap the moisture. • Wear comfortable shoes to work, especially if you are standing or walking for long periods of time. Uncomfortable shoes can cause calluses and suffocate your skin. 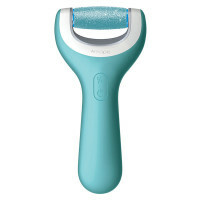 • Frequently use an electronic hard skin remover. This can help remove dead skin that might be hard to scrape off. To help you learn how to care for feet, we recommend the Amopé Pedi Perfect™ Electronic Foot File with Diamond Crystals. This helpful tool can give you a professional pedicure feel. Our electronic foot file doesn’t use harsh blades that will damage your feet. This product includes a safety stop that will stop automatically if too much pressure is applied to your skin. After a single use, you will notice a difference of smooth heels, and the dead skin will be removed. When using the product, be sure to read and follow the directions outlined on the product label. .